Dan comes from a family legacy of builders and has over 20 years experience in residential and commercial building. 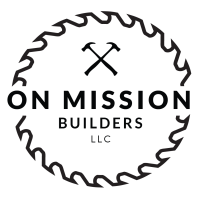 Prior to founding On Mission Builders, Dan was a builder for an international award-winning building company and the lead project manager for a real estate reinvestment firm where he remodeled and sold over 40 residential properties. Dan has also shared his love for building by teaching his trade to at-risk youth and has worked with Habitat for Humanity. In addition to OSHA certifications, he holds an associates degree in residential building and a B.A. from Cairn University. Dan lives in Philadelphia with his wife and their young son. Our mission is to provide the highest-quality craftsmanship possible with a stress-free customer experience. We succeed at this because of our integrity, the reliability of our subcontractors, our commitment to a solid work ethic and our passion for superior service. OMB strives to provide exceptional service by working one-on-one with our customers in order to build lasting relationships. Integrity is the cornerstone of our business. It is our goal to provide all of our customers with an honest, respectable and trustworthy service. Working with us involves a team of professionals who prioritize strong communication and flexibility. We combine quality workmanship, knowledge and experience to provide you with a service that will keep you coming back.